The hot summer months are behind you. It’s time to look up AC cleaning services Katy TX. Running your AC in the summer builds up dirt that could make you and your family sick. How do you know who to turn to for your AC cleaning needs? How do you make sure that your family doesn’t get sick from a dirty AC? There are plenty of things that you can ask about your Katy a/c repair needs. Some of them might include what you can do to prevent AC problems. Knowing how to spot a problem now, helps to prevent them in the future. Plus, you get to sleep easy knowing your family’s air isn’t getting polluted by dirty air filters. 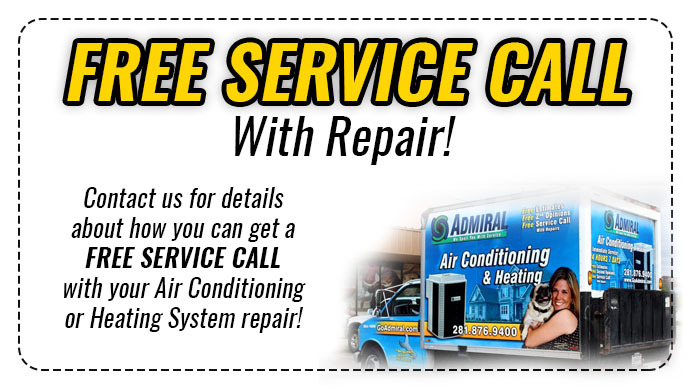 If you want to learn more about air conditioning repair in Katy, contact Houston Admiral. Their residential and commercial experience qualifies them to answer your AC questions. The company has been serving satisfied customers since 1990, and they can help you too. Their company motto of “we spoil you with service” speaks for itself. 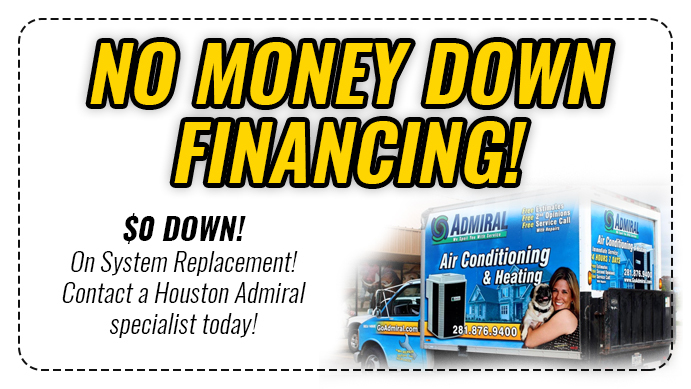 Contact Houston Admiral today by calling (281) 706-8691. Let them tell you how their family-owned business can help your family’s cooling needs. You can look at their special offers and financing to see what stands out to you. How Does Air Conditioning Repair in Katy Affect You? By not looking into air conditioning repair in Katy, you’re pushing poor air into your home. If you aren’t doing basic upkeep like changing the filters, your air quality suffers. Allergens, pesticides and other harmful things come in from the outside. Clean air filters will stop them. Clogged filters let them pass. Not only do outside chemicals risk your air, but inside ones do too. Many of the household cleaning products you use could release them into the air. The so-called organic products do too. Your windows and the amount of good ventilation you have can impact your air quality too. To keep energy, air conditioners recycle air. Guidelines say that you need to have at least 15 cubic feet of make-up air to not risk quality. Much certified staff offering A/C repairs suggest having your windows looked at yearly, too. Poor ventilation can cause headaches, congestion, dizziness, fatigue, and nausea. High levels of things like carbon monoxide could cause the illness to be more serious. Home and business owners can contact Houston Admiral to help make sure this doesn’t happen. Their certified and expert technicians have years of experience and glowing reviews. The family of Houston Admiral wants you to breathe the best air possible. Call them at (281) 706-8691 or visit at https://goadmiral.com to find out more. If you think your air filters could be making you and your family sick, call. Houston Admiral has emergency A/C services that can help you no matter the time of day. How Can You Improve Air Quality With AC Cleaning Services Katy TX? There are many ways that AC Cleaning Services Katy TX can help to better your air quality. Hiring an expert lets you make sure that your conditioner is acting the way it should. Proper professional upkeep is what keeps your filters and humidifiers running. Having a clean filter also makes your evaporator coil last longer. The coil does get dirty too and lowers how well it absorbs heat. If it isn’t running right, it could be costing you extra money. Trained technicians can help you ensure a store-bought air conditioner suits your home. 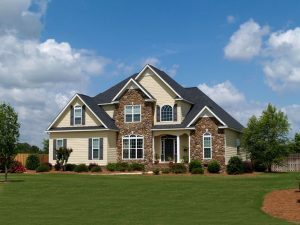 They can spot any problem areas and recommend exhaust fans to lighten the load. Air conditioner cleaning is something that pays off in many ways. Your air quality is better, you’re stretching the life of your machine, and you’re saving money. Professional maintenance can help you find things like a rotating A/C line. If these go undetected, it could ruin your machine. The proper air conditioner experts can also help you prepare your A/C so it lasts throughout the winter. Make a call to Houston Admiral at 281-706-8691. You can set your appointment today or you can send them an email through their website at https://goadmiral.com/. Houston Admiral offers many solutions. They help with repair, maintenance, replacement, installation, and more. No matter the season, they strive to keep your system in the best shape and at an affordable price. The staff has a 4.9 out of 5 stars review with their customers that you can read on their website. Let them improve the quality of air that you and your family breathe in. What Should a Professional AC Cleaning Services Katy TX Do? Using a leak detector to check for leaks. Measure the evaporator coil air flow. Properly cleaning filters and humidifiers. Inspect and clean all proper connections. Make sure the condensation drain isn’t clogged. Properly dispose of refrigerant and check current amounts. Properly handling the machine and looking for bent fins. Ensuring they turn all power off before routine maintenance starts. Giving you an itemized list. Along with all of that, your technician should be professional. You should be able to ask them questions and see their certification. Ask them how long they have been with the company and what they like about it. The more questions that you ask, the more you’re going to find out. Make sure you’re finding out exactly what the service call accomplished. If your technician suggests replacing something, find out why. By visiting Houston Admiral’s, https://goadmiral.com/, you can find out what their certified technicians are going to look for. They have emergency services that are available day and night. You can call them at (281) 706-8691 to get their expertise. With a location directly in Katy, they can meet all of your needs including AC Cleaning Services Katy TX. It has three major hospitals and two volunteer fire departments. One of Houston’s largest suburban communities.